Last thursday a bunch of geeks gathered at the Microsoft offices at East End of Princess Street for the Edinburgh Small Business Server Community meeting. I’m proud to say that I was one of those geeks! 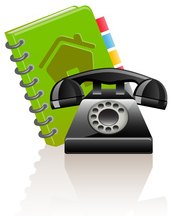 Telephone hotline and on-site support for your hardware, software and network infrastructure. If our technical support staff cannot resolve your problem immediately over the telephone we will guarantee a visit to your premises within the next half working day. You will have a pool of expert support staff available to you without the costs associated with bringing these skills in-house.